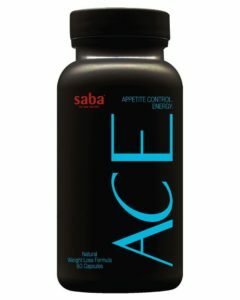 Saba ACE is an all-natural, weight loss supplement that falls in the mid-range of prices and promises a lot. It comes from a home-based company in the US and is distributed online by eCommerce sites. Saba ACE has some positive reviews, but the benefits many people may assign to taking Saba ACE may be more a result of wishful thinking than fact. Saba ACE is marketed to promote rapid weight loss by helping you control your appetite, increase your metabolism and energy, and as a fat and carbohydrate blocker. The ingredients included in the supplement do have some positive clinical support that suggests they can help deliver on those promises they just might not deliver in the form that Saba ACE comes in. The ingredient list for Saba ACE is promising at first glance. Vitamin B6, Chromium, Caffeine and even Vanadium all have promising clinical studies that do indicate that they can provide benefit in helping to boost energy and manage glucose metabolism. None of them have established amounts or predictable effects, in other words there is no way of knowing how much a person would have to take to create an effect or, if the same amount would work for everyone. The real problem that occurs when you take a look at their ingredient list lies in the second item the proprietary blend. In Saba ACEs defense, many companies dont list their ingredients because it is a form of protection for them, you cant trademark a list of ingredients. Unfortunately, it is also a sign that you really dont know what is in there or how much. What is known about their proprietary blend is that it does rely heavily on Spirulina and that is cause for concern for a possible serious long term effect. Long term use of Spirulina has been linked to an increased risk of serious liver damage. When companies choose not to list specific ingredients or their amounts to protect their proprietary mix, they can be exposing you to risk that may not be worth it. While many of the listed ingredients are essentially harmless, not enough is known about them in combination to make them risk free. Caffeine can cause insomnia, nervousness and even raise high blood pressure. If you are currently taking any medication, it is best to avoid this product or any other that does not list all of its ingredients or amounts. 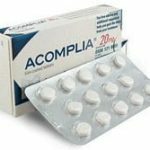 If you are pregnant or nursing, you should also avoid Saba ACE as there is no evidence that it is safe for you to take. Another potential concern is that many of the ingredients have been shown to have an effect on blood sugar levels, if you are taking a medication for that purpose this could lower your levels too much. Saba ACE retails between $40 and $45 USD, not including shipping. 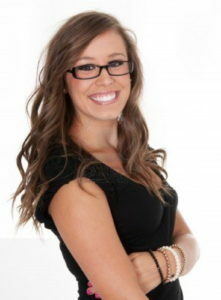 You can purchase it through their home-site, or on major eCommerce sites, such as Amazon. They also stronglyencourage that you become an independent distributor of their product, which is slightly suspect. 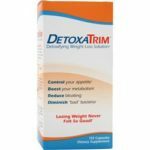 While having a home based business is not a bad thing, when it comes to a diet supplement business that has no distributor site outside of the US, it can be cause for concern. The US does not provide consumer protection methodsother countries have in place. While Saba ACE does have a return and money back policy, there is no evidence of how they process claims. It should also be noted that the US does not inspect home supplement facilities on a regular basis. Saba ACE is one of the few diet pill supplements that can earn a silver star for having all the right ideas. 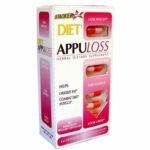 What undoes the potential of this diet pill is that it fell prey to wanting to make money before knowing if it could really deliver on its promise. For the price, you could get the same proven ingredients included in Saba ACE in a general multi-vitamin and still have enough money left over to purchase a dietary supplement that is proven to work. The fact that Saba ACE opts for a proprietary designation on its label rather than listing its true ingredients and amounts is enough to make you pass it by. 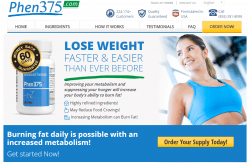 You may want to consider another diet supplement instead,such as Phen375.